Valtteri Bottas topped the charts as Mercedes teammate Lewis Hamilton was fourth fastest in second practice for the Abu Dhabi Grand Prix. With his fifth title already safely secured, Hamilton, 33, is hoping to sign off with his 11th victory of a remarkable year. 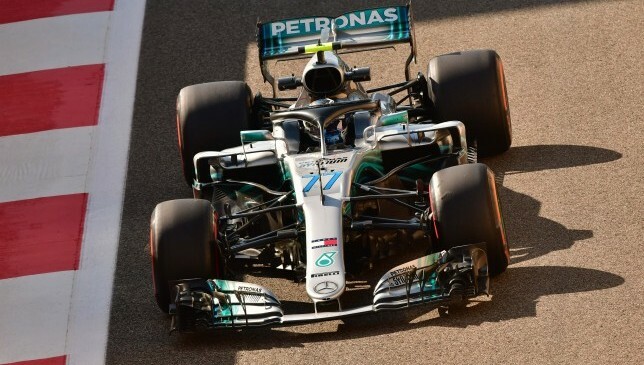 But the Mercedes star finished 0.207 seconds slower than Bottas in the final running of the day at the Yas Marina circuit. Hamilton, sporting a gold crash helmet and number one on his car this weekend to celebrate his latest championship success, faced a summons to the stewards after crossing the white line as he entered the pits. The British driver is likely to be handed only a reprimand. Bottas is searching for his first victory of an inauspicious campaign. The Finn finished four hundredths ahead of Max Verstappen in the early-evening dark. Daniel Ricciardo, taking part in his 100th and final race for Red Bull before he moves to Renault next season, finished third. Ferrari, looking to banish memories of their late-season collapse which allowed Hamilton to sew up the title more easily than he might have expected, occupied fifth and sixth places on the time sheets. Kimi Raikkonen, whose long association with the Italian team will end with Sunday’s race, held a slim advantage over Sebastian Vettel. Fernando Alonso will bring down the curtain on the second longest career in Formula One under no illusions that he can add to his 32 victories. It is more likely that the two-time world champion will be squabbling for the minor points come Sunday, his 312th and final start. Here, he finished 13th for McLaren, 1.5 sec off the pace. In first practice earlier in the day, Verstappen set the pace as Red Bull continue to end the season with a surge of form. Verstappen, who was unlucky not to win when taken out while leading the Brazilian Grand Prix a fortnight ago, led Ricciardo in a Red Bull one-two. 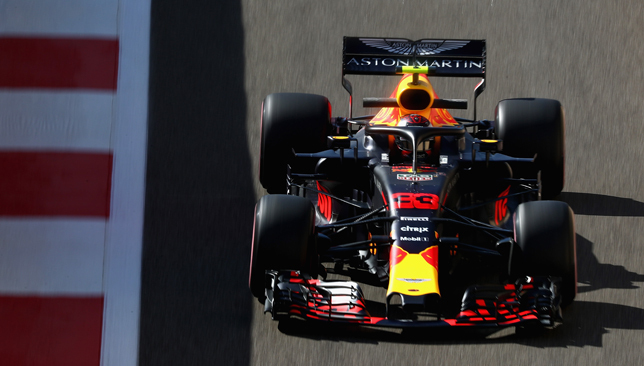 Max Verstappen led Red Bull team-mate Daniel Ricciardo in opening practice for the season-closing Abu Dhabi Grand Prix. The Dutchman finished 0.454 seconds clear of Ricciardo at the sun-drenched Yas Marina circuit, with the Mercedes pair of Valtteri Bottas and Lewis Hamilton third and fourth respectively. Hamilton, who is sporting a gold crash helmet this weekend, and the number one on his Mercedes to celebrate his fifth world championship, finished one second off the pace. The Formula One circus is in the Middle East this weekend for the final stop of the 21-race calendar. Hamilton, 33, sealed the title with two rounds to spare, and asked permission to change the number 44 on his Silver Arrows to number 1. It marks the first time the number, traditionally reserved for the world champion, has been on the grid in four years. The world champion was significantly slower than the Red Bull of Verstappen in the opening running, but the second practice session which takes place later on Friday will be more representative of the conditions for qualifying on Saturday, and the race, too. Indeed, Sebastian Vettel finished a distant eighth for Ferrari, two seconds down on Verstappen, with team-mate Kimi Raikkonen, taking part in his final race for Ferrari, one place better off. Fernando Alonso will bring the curtain down on his F1 career here on Sunday after 17 years, and the double world champion finished 19th of the 20 runners, nearly four seconds off the pace. Robert Kubica, confirmed as a Williams driver for next season to complete his remarkable comeback from an horrific rally crash almost eight years ago, finished last. The crash-prone Marcus Ericsson was in the wars again after he lost control of his Sauber on the exit of Turn 1, and slid across the track and into the barriers. He limped back to the pits with a damaged front wing. Robert Kubica’s rightly celebrated return to the Formula One circuit next season should not only go down as one of motorsport’s greatest comebacks – but in sports history, period. The Pole fittingly confirmed his return to the sport for 2019 with Williams ahead of this weekend’s season-ending Abu Dhabi Grand Prix – Yas Marina Circuit in November 2010 was the scene of Kubica’s last flutter with F1. He finished fifth in the UAE capital that day to claim eighth overall in the driver’s standings in his debut campaign with Renault and was due to return with them for the 2011 season when disaster struck while competing in the following February at the Ronde di Andora rally in northern Italy. His car left the road at high speed and hit a crash barrier. Kubica was trapped in the car for more than an hour before rescue workers were able to free him. In the hospital, it was later confirmed part of his right arm had to be amputated, while he also suffered compound fractures to his right elbow, shoulder and leg, as well as significant loss of blood. The severity of his injuries were the result of the crash barrier penetrating the car’s cockpit, and striking Kubica, though his co-driver was left unscathed. It’s been a long road back for Kubica – hindered further by the fact he re-broke his right leg after slipping on ice near his home in Italy in January 2012. Robert Kubica announced his return to F1 in Abu Dhabi on Thursday. Yet he won the first race he entered after 20 months of being in and out of hospital, triumphing at the Ronde Gomitolo Di Lana in a World Rally Championship car on September 9 that year. He has been competing ever since, largely in rally events, including the WRC, before returning to F1 as a test driver with Renault last summer. That sparked suggestions he could make an amazing comeback to motorsport’s pinnacle. His dream return to a sport he was tipped for stardom in eight years ago is testament to the 33-year-old’s bravery and resilience, but it also forms part of the indefatigable and indomitable spirit of motoracing drivers. Juan Manuel Fangio – whom Lewis Hamilton moved alongside this year on five F1 world titles – lifted four in a row from 1954-1957, and that was after he broke his neck driving at Monza in 1952. A year after his crash the Argentine finished second – a mere six-and-a-half points behind champion Alberto Ascari. AJ Foyt’s brakes failed during a 1965 race at Riverside International Speedway, and he left the track at over 100 mph. His car flipped so violently the track doctor pronounced him dead at the scene. Cheating death would have been a comeback in itself but that wasn’t enough for the American who recovered from his broken back, ankle, and chest injuries to win both the 24 Hours of Le Mans and the Indianapolis 500 in the same year. Williams have missed the experience and ingenuity of Felipe Massa this season. Niki Lauda still carries the day of his horror crash with him. The Austrian’s Ferrari burst into flames following a crash at the 1976 German Grand Prix. Unable to escape, he suffered severe burns and inhaled toxic fumes that damaged his lungs and poisoned his blood. Lauda went into a coma but recovered, with reconstructive surgery enabling him to use his eyes again. A lucky escape and one which you might have expected him to walk away from the sport for. 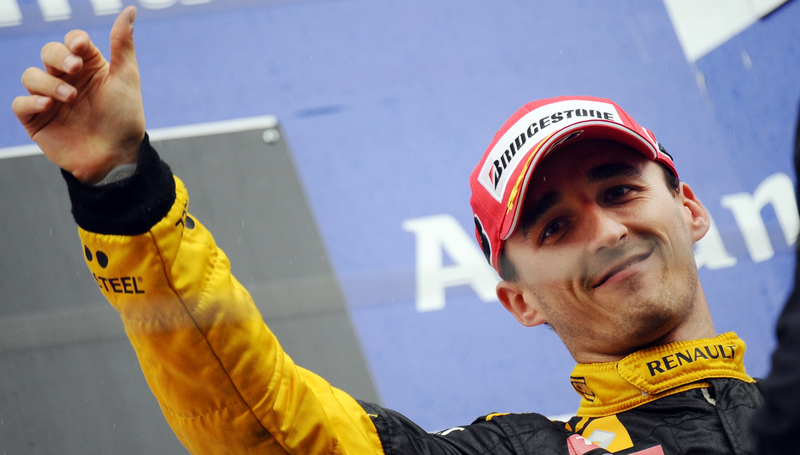 But he missed just two races, returning to F1 the same season. Not only that, he maintained his lead in the championship standings until the final race, where he was forced to withdraw because of his damaged eyes, handing the title to James Hunt by a single point. Outside of racing, Kubica’s return evokes memories of Monica Seles, at the peak of her powers when she was stabbed by a spectator midway through a match in 1993. After two years away, she returned, going on to win her fourth Australian Open title in 1996. Manchester fighter Anthony Crolla’s initial bid for the WBA lightweight title had to be scrapped in January 2015 when he suffered a fractured skull trying to fend off burglars in his home. Six months later he was back in the ring to earn a split decision draw with Darleys Perez and, in a November rematch, knocked out Perez to take the title. 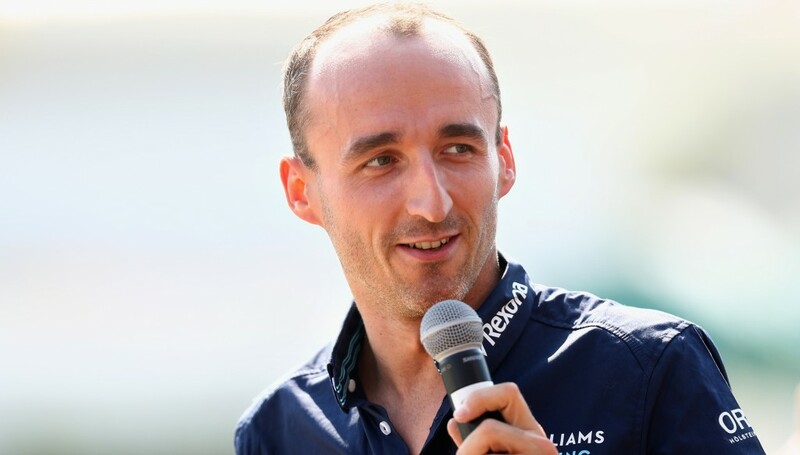 Right-handed Kubica – who has since adapted his driving style to lead with his left – has been with Williams throughout 2018 as the team’s test driver, acting as back-up to youngsters Lance Stroll and Sergey Sirotkin. But both will now be jettisoned with the Pole to be paired alongside another new face for next year, 20-year-old Briton George Russell. Williams will hope the mix of experience and youth will provide a spark to drag the famous marque out of the doldrums following an utterly dire 2018 – during which just seven championship points have been scored. Last year they amassed 83. The Oxfordshire-based team will endure their worst season in five years and the third worst since they first entered the sport in 1977. Kubica nearly made a heartwarming return to the top a year ago when he drove for Williams at last year’s post-season test in Abu Dhabi, but the British team opted to take on Russian rookie Sirotkin instead. They weren’t about to make the same mistake 12 months on, with Kubica announced by the team as their other driver for 2019 at Yas Marina on Thursday, the Pole describing his return to F1 as “one of the greatest achievements” of his life. He finished sixth and then fourth with BMW Sauber in 2007 and 2008 and Williams must feel the talent still courses through Kubica – who stands seventh on the list of youngest drivers to score a podium in F1 (he was 21 and 278 days old when finishing third at the 2006 Italian Grand Prix). From 2017’s fifth-place finish in the constructor’s championship, with 19 top 10 finishes recorded out of a possible 40, Stroll and Sirotkin have tasted just three top 10 finishes between them this year. 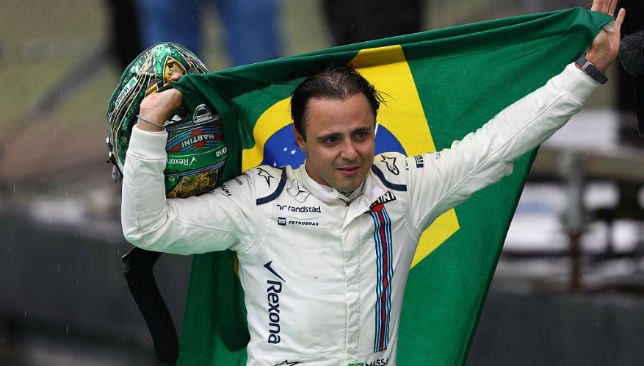 Williams have clearly missed the influence of Brazilian legend Felipe Massa who retired in 2017, and will hope Kubica’s never-say-die attitude, ability and experience will marry with Russell’s raw talent. The Norfolk native won the 2017 GP3 Series and this year’s FIA Formula 2 Championship, while test driving for Mercedes. Williams enjoyed back to back finishes of third in the constructors’ championship in 2014 and 2015 – their best work since successive second places with Juan Pablo Montoya and Ralf Schumacher in 2002 and 2003. They were fifth in 2016 and 2017 before nosediving this term. It’s easy to come to this conclusion now, but pairing a 23-year-old Sorotkin with 20-year-old Stroll always appeared a gamble. They have hit rock bottom, with 2018 a complete failure. The good news is they cannot plummet any lower and with Kubica spearheading the charge next year, they possess a driver who just doesn’t know how to fail.